UW Recreation will partner with UW-affiliated groups or departments to bring adaptive, inclusive, and unified recreational opportunities to campus. This may involve such programming as Special Olympics College, Adaptive Yoga, LGBTQ programming, and/or other adaptive programs in an effort to increase involvement with underrepresented populations on campus and promote inclusion. This partnership will include use of UW Recreation facilities, when available, and access for the general public, on a limited basis and as needed for the program. The program aims to create enhanced collaboration and foster an inviting recreational experience for all. UW Recreation has partnered with Special Olympics College at UW, a Registered Student Organization (RSO), to enhance Unified Sports play on campus, helping them achieve their goals through the use of Recreation facilities each quarter. 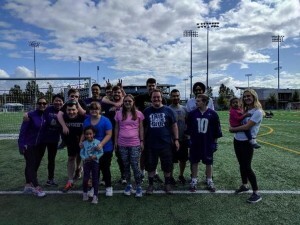 UW Recreation has also partnered to provide various field/gym days for Challenge 4 Charity (an RSO of Foster MBA students competing with MBA students from nine other West Coast business schools), to reinforce their efforts of support and fundraising for Special Olympics, Boys and Girls Clubs, and other family-related local charities.